The Bala Lake Railway (Welsh: Rheilffordd Llyn Tegid) is a narrow-gauge railway along the southern shore of Bala Lake in Gwynedd, North Wales. The line, which is 4 1⁄2 miles (7.2 km) long, is built on a section of the former standard-gauge Ruabon–Barmouth GWR route that closed in 1965. 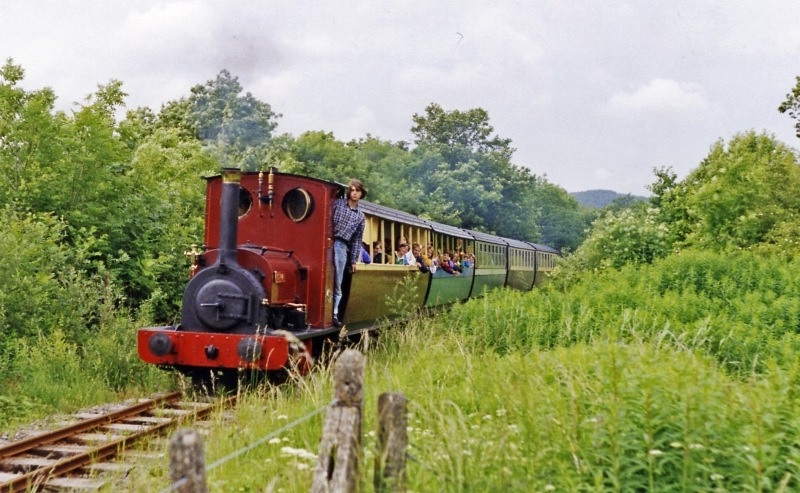 The Bala Lake Railway, which runs on 2 ft (610 mm)-gauge preserved rolling stock, is a member of the Great Little Trains of Wales. The railway now has the largest collection of historic narrow-gauge quarry locomotives built specifically for the slate industry in North Wales by the Hunslet Engine Company in Leeds. Llanuwchllyn (the village above the lake) is the Railway HQ and regular trains link the village with the delightful market town of Bala. At Llanuwchllyn, visitors can see the steam locomotives being serviced prior to coupling onto the train, can view the 1896-built Signal Box in operation and can enjoy light refreshments in the Station Buffet. Often, visitors can visit the railway's other engines in their shed. Please give us your overall rating for Bala Lake Railway.